Statira began working whilst she was perusing her law degree since 1996. During her initial years in practice she gained experience in a variety of fields including corporate commercial law, intellectual property and information technology law. Statira has been associated with ALMT since December 2003 and now specialises in M&A, private equity transactions and tax. Statira’s tax experience includes advising on cross border tax issues such as withholding tax, permenant establishment, transfer pricing, characterisation of software payments etc for various international clients. She also advises on indirect tax issues with a focus on service tax. Statira is also involved in advising on tax related dispute resolution proceedings before various authorities. Statira’s corporate practice is mainly focused on transactional corporate work and includes advising on joint ventures, asset transfers, mergers, slump sales and private equity transactions. Statira has also been on the editorial board of a legal newsletter for over 5 years and has several published articles to her credit. 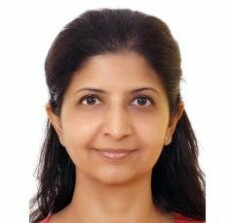 She has also authored articles for international publications and been a panelist at various international tax seminars. Statira has been selected as one of India’s leading lawyers for general corporate practice by Asia Law and Practice in their publications “Asialaw Leading Lawyers 2006”, “Asialaw Leading Lawyers 2007” “Asialaw Leading Lawyers 2008” and “Asialaw Leading Lawyers 2009” and recommended as “Leaders in their Field" "Chambers Asia Pacific 2013" for tax practice. In 2015, the Tax Directores Handbook 2015 highly recommended Statira for her tax practice and she was awarded the "Most Outstanding Private Equity Lawyer – India" 2015 by CorporateLivewire, UK. Statira is also recommended for her practice in private equity, tax, telecom, media and technology by Asia Pacific Legal 500 for 2015 and 2016 and for corporate / M&A, private equity and tax for 2017. She has also been recognised as a leading lawyer by ILFR 1000 for private equity and M&A in 2017. Advising a large medical health case company based in the Middle East on its proposed venture in India, including regulatory aspects related to its proposed establishment of a hospital in Nagpur, Maharashtra. Advising one of the largest international insurance companies in the world on setting up a joint venture company for the distribution of its policies and documentation for the same. Advised a venture capital fund and private equity fund in its second round investment in Indian IT infrastructure solutions company. Advised an Indian private equity fund on its exit from its investment in one of India’s leading power cable manufacturers, including negotiating the exit. Advised one of India’s top software consultancy companies on the acquisition of intellectual property and other assets of another company including, advising on the structure of the transaction, conducting the due diligence and drafting all documents in relation to the acquisition of assets. Advising an international airline on its INR 1.55 billion tax service tax dispute and continuing to represent the airline in hearings before the Customs, Excise and Service Tax Tribunal. Advising an international company manufacturing construction chemicals on a customs and excise dispute in relation to their activities in India. Advising a leading software multinational in tax structuring of its product offering to retail customers in India including offering through the internet and considering issues such as PE, royalty, withholding requirements, service tax and VAT issues, etc. Advising an US based company manufacturing networking solutions and routers on certain tax claims made against the subsidiary by the income tax department, including the strategy to be followed and the submissions to be made. Advising a leading software multinational in litigating its disputes before the commissioner of appeals, Dispute Resolution panel, Income tax Tribunal and the High court regarding transfer pricing on various services provided by the Indian subsidiary to its US parent and vice versa such as R&D, cost sharing, sales and marketing support, market surveys etc. Also advised on representations to be made before the India and US Competent authorities under the MAP provisions of the tax treaty. Advised a Los Angeles based media company on it proposed training arrangement and software license with an Indian media company including on permanent establishment issues, withholding tax issues, personal taxation issues relating to the employees deputed to India and service tax issues arising from such arrangement. Advised an Indian subsidiary of a Norwegian company on the service tax implications of the services provided and to be provided by it to its parent and group companies, including reviewing of the agreements relating to such arrangements from a tax perspective.